How Do You Create a Clan? I saw a tip in the game that says you can get some nice bonuses and in game perks for joining a clan. I would like to just create my own clan since I don't have any invites to existing ones. I have looked around the clan menu and I dont see any options that allow me to create a new clan. 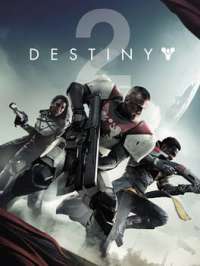 How do you create a clan in Destiny 2? A new clan can only be created from the Bunge.net website. I think they can also be created from the Destiny app. You are not able to create a clan from the game itself, which does seem odd, but I think it might be their way of encouraging people register for an account on their website. Once you are registered there is a clan tab and this gives you the form to create a new one. You can then go and invite others to the clan and once you have 3 members the clan will be activated publically. A 1 person clan is a waste of time, so if you don't have anyone who will join you, you are best off checking the bungee website and finding some clans that are open for anyone to register and just joining them instead. Most will be the max level already.